How do you train on a treadmill? 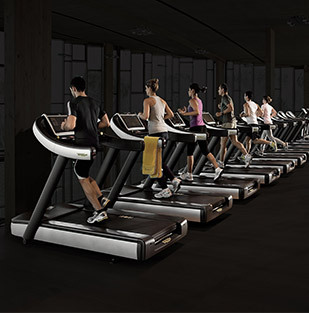 You might have one at home and they're in every gym: treadmills, the best-known and used machines for cardiovascular exercise. This "moving pavement" lets you walk or try out different running techniques, deciding whether to focus on losing weight, getting toned, or improving your cardiovascular capacity. Training on a treadmill can become your main source of exercise or a complement to it if you're used to running outside but your schedule is not cooperating. You can also create gradual training programs and eventually run a marathon! There's no doubt! Running and walking are the kinds of exercise that let you burn the most calories and fat! As a result, the treadmill is the most effective machine for losing weight because it helps you perform these two movements. Clearly the number of calories burned increases in proportion to the speed and distance you cover, but these should be chosen carefully based on your physical condition. Walking and running principally involve your legs, glutes, and calves. 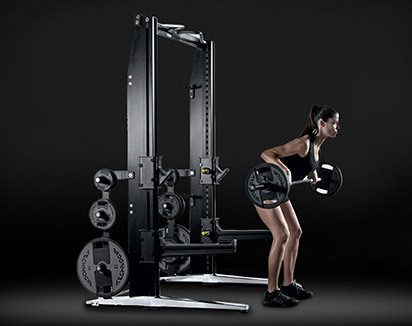 What is the right workout for toning them and fighting retention problems? 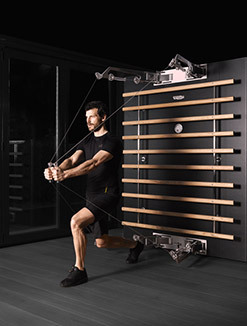 By decreasing the speed and increasing the slope, you increase the working time on the belt (supported on the foot) and consequently the contraction of the muscles and blood circulation. The cardiovascular workout you get on a treadmill activates your blood circulation and improves the efficiency of your heart. This gives you better endurance, lets you feel less tired, and gives you better staying power for all your daily activities. At the same time, consistent exercise over time keeps all your joints active and preserves the flexibility you need to help prevent injury or the problems caused by aging. 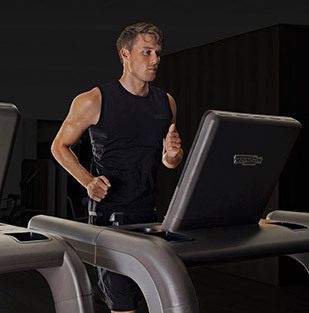 The qualities of a treadmill include the option to manage your work load and speed, creating a gradual training course to increase resistance. 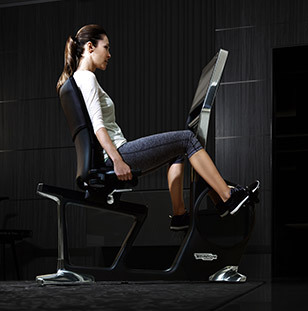 You can do it using the predefined profiles or levels on the machine, or by focusing on your heart rate. What is the movement like? 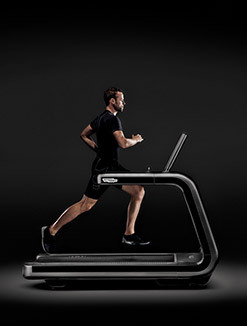 On the treadmill your body performs an almost natural movement, just as it would if you were walking or running on the road. We say 'almost' only because there is no forward movement. Compared with running on the road, there is a different impact and more concentration, because the support surface of the machine is always flat and you don't have to look out for hazards on the ground (such as holes or ruts). For this reason treadmills are recommended if you are starting your exercise from scratch, but also if you're used to running outside, because it's a valid training alternative when you don't have the time to get out. Run or walk: which to choose? 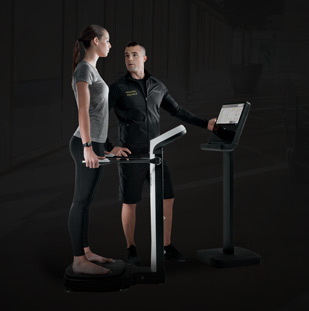 With the machine you can perform different types of movement that can be categorized as slow walking, fast walking, and running. The first covers speed up to 5 km/h, the second ranges from 5 - 6.5 km/h, and the third is 6.5 km/h and up. These exercises vary in the calories burned, the intensity, and the benefits they deliver. Running is recommended if you want to train intensely and lose weight, while walking is right if you want to tone. What happens when you change the incline? 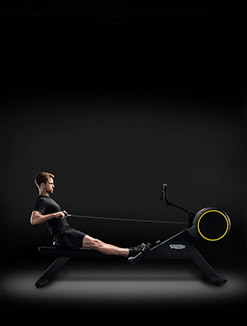 Increasing the incline lets you better train your cardiovascular efficiency and muscular endurance. To do some gradual work and not tire yourself out too much, you should use a maximum of a 4% incline for running, and 5-8% for walking. We also recommend alternating phases with slopes and flat, every 3-4 minutes. If you're getting on a treadmill for the first time, or more in general if you're someone who hasn't had any consistent physical activity for at least three months, it's recommended that you begin with walking. By training consistently (initially twice a week and then three times a week), you can gradually increase the intensity of your exercise. The important thing is not to overdo it, and don't forget to precede each session with some warm ups and end with some stretching exercises. The recommended workout to prepare for a marathon is based on controlling intensity by monitoring your heart rate. 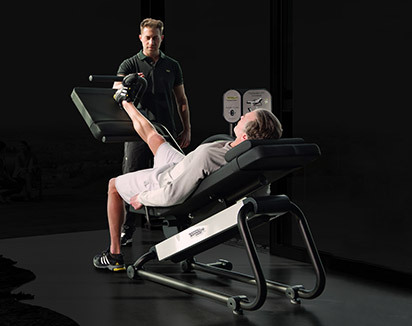 Using the sensors positioned on the machine and your target heart rate, you can set a workout based on a constant heart rate, which should be at least 75% of your maximum heart rate (which is calculated as 220-your age). 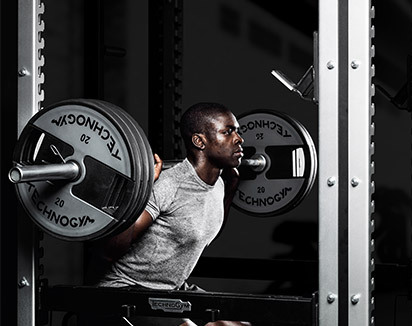 In subsequent sessions, once you're able to maintain the same training intensity for 45 minutes, you can gradually increase your heart rate (from 5 to 10 beats on each progression). The first thing you need to pay attention to when starting with a treadmill is to make sure that the belt is not moving. 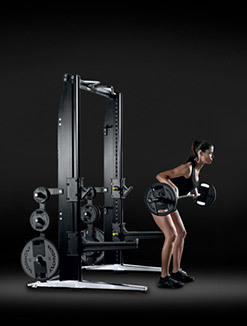 Technogym machines have two safety systems: a light located on the handlebars and an indelible laser marking on the belt that lets you see instantly if the belt is moving. Begin with 5 minutes walking to get used to the feeling of motion on a moving surface. Then increase the speed or incline. When exercising, always try to keep your posture erect, look forward, and never turn, because you could be distracted and fall. Also, beware of overdoing it: choosing a workout that's too intense for your abilities can cause fatigue and muscle problems. To gradually relax your muscles, end your workout with 5 minutes of slow walking (3 km/h). Then get off the treadmill and do 10 minutes of stretching on the floor or an open area. 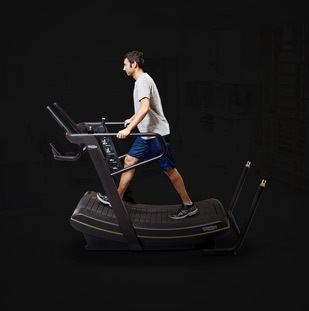 You need to use caution on a treadmill if you have been diagnosed by a doctor with serious joint and/or muscle problems, especially if they involve your back, knees, and ankles. It these cases a machine like a crosstrainer is preferable, because they have a more fluid movement and less impact on the knees and feet. 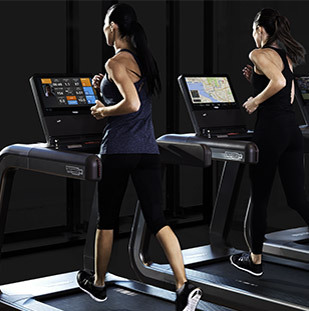 What is the right treadmill for you? 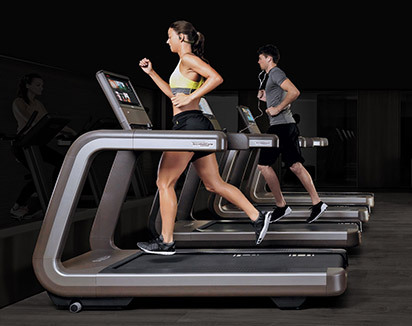 Even if the type of movements and benefits they deliver are the same, treadmills are distinguished by their size, type of running belt, slope options and speed. 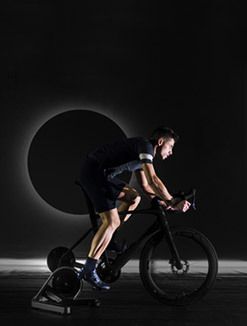 In the professional models you'll find in the gym, like Run Now, the platform is slightly harder and larger and offers speeds of up to 27 km/h, making it suitable for advanced workouts. The belt on Jog Now is slightly softer, and therefore even less expert users will feel at ease using it. 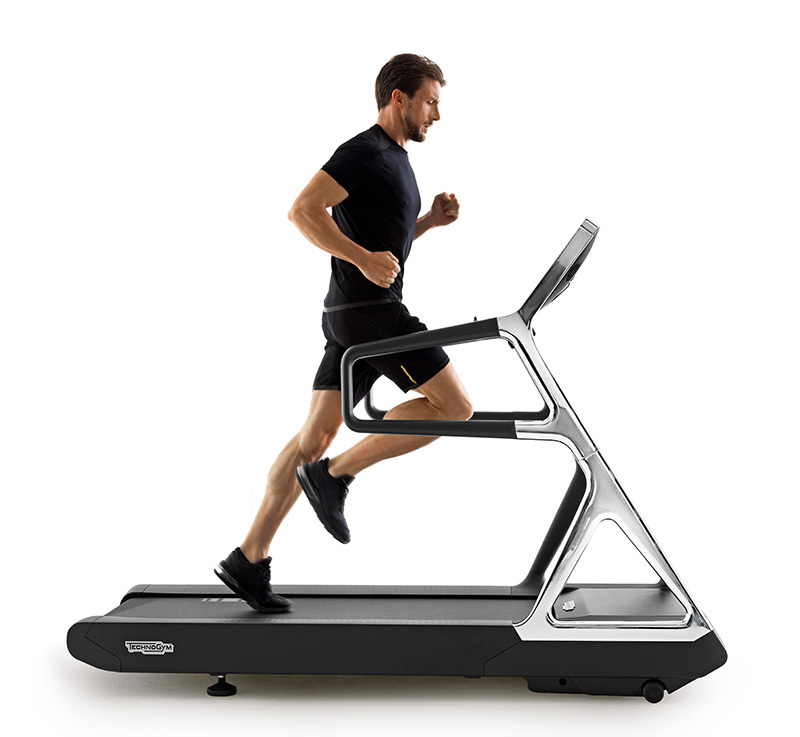 A home treadmill, though still a professional grade machine, will be even softer and have a frame that is very sensitive to buffering the various stresses it's subjected to. This is because it has to take into account the various levels of users, and its working times are different from those in a gym (from a few minutes to a few hours). 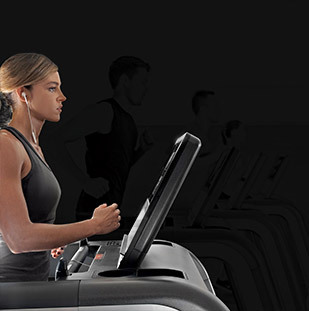 How much and when should you use a treadmill? For effective training we recommend that in your exercises, you apply the advice in our physical and mental wellness guide, which you can download free of charge by registering on the Wellness Guide page. 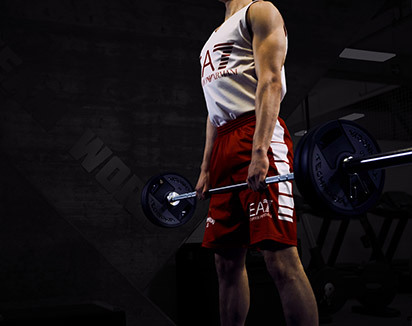 The ideal is to train three times a week for at least 30 minutes, trying to stay consistent for at least 3 months.